‘The Cloud’ is noun that has grown momentum to become a buzz word over the past 10 years. The reason ‘the cloud’ is so popular is because the meaning is so powerful in our personal lives and in the business world today. Some people still don’t understand the meaning behind ‘The Cloud’ and why they should be talking about it. You see we are not talking about big fluffy white things floating in the sky. ‘The Cloud’ is a place storing computer servers providing a platform to access your data anywhere anytime. You might be still thinking, ‘So What?’. If you have ever had your computer stolen or crash, lose all your documents and photos, you will understand how this can be a life saver. Have you ever had a fast approaching deadline but did not want to go into work for the day? Imagine your day wasting time stuck in traffic stressing about time lost. What if you could access what you needed from the comfort of your home and still meet your deadline. You might even be able to add some personal time for yourself. 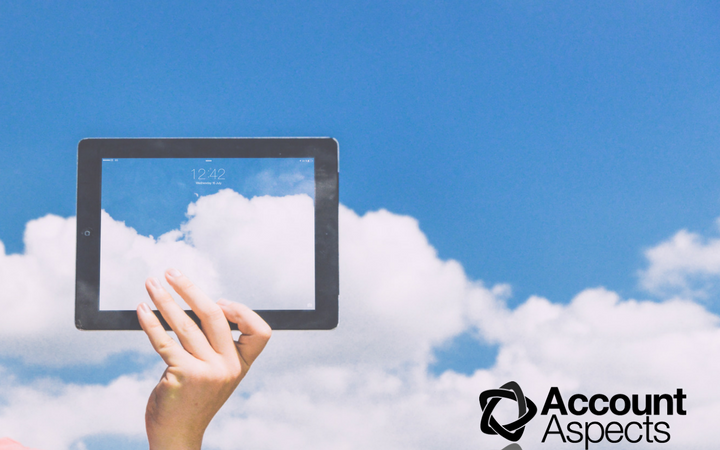 Using cloud software is the time saver you need to improve your business performance. We all carry devices as we are custom to being available 24/7. Whether that is to our clients, colleagues or our family and friends. Why not use these powerful mini computers to our advantage. Many cloud software providers build apps which are smaller versions of your software. Take Xero for example. What if you finished a phone call with a new client who wanted to take you up on your services. Rather than wait until you got back to the office, open the app, create an invoice on the spot and email it to your client. Add your payment facility to your invoice to get paid faster and increase your cashflow. Software providers enter the market because they see a gap needed to run business and lives. Xero have a great core accounting program. Many business owners need additional solutions to run their entire business. Xero’s marketplace helps small business owners find the solutions they need fast. This has grown to over 500 software solutions showcased. Accessing your data anywhere anytime through an internet connection gives you back time into your day to be more productive and efficient. You can check your sales, pay your staff or even finish the report you need to submit. Software needs to be continually updated to give you a better solution. With desktop software, you receive a disc with your updates on them. If you are not computer savvy, it can be difficult and costly for your business. Cloud software providers know that you rely on their software to run your day. Software is taken offline for updates outside your busiest time ensuring less disruption. With cloud software your entire team can login to the same document or system at the same time. There is no need for various copies where mistakes occur or written over. This brings a unity tor business where everyone collaborates and makes a difference. Change can be scary, but often worth the risk. Some people are afraid of their personal information being shared breaching their privacy. Cloud software invest millions of dollars to ensure their security is tight. Most now offer two-step authentication for any extra level of security. The reality is that you are using some form of Cloud software now. This being on your smart phone or internet banking. Account Aspects has embraced cloud software and now could not operate without them. If you have questions or want to explore the possibility, please contact us to get started today.